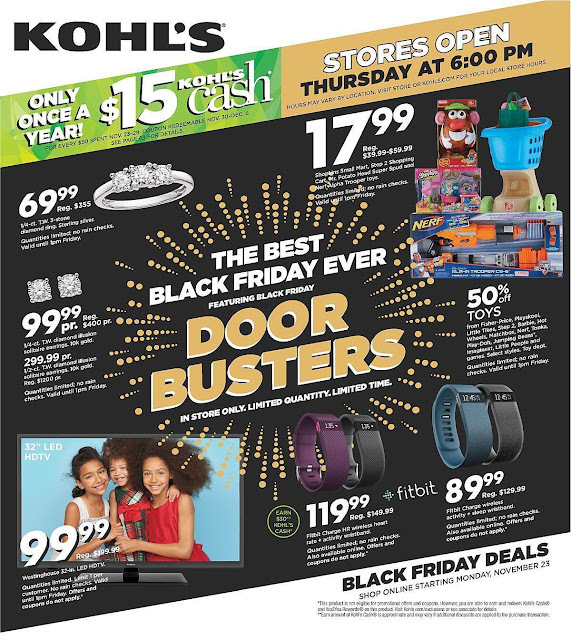 Kohl's Black Friday events started and the sale Ad is out now! Check back often DealsFall.com for the latest info on Black Friday deals and more. 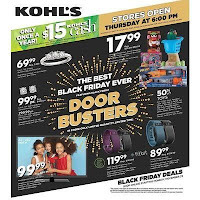 Kohl's big draw every Black Friday is its offering of Kohl's Cash, and this year is no exception. Get ready for the most intense day of shopping all year and stay up to date on Kohl's Black Friday sales, hours and locations. 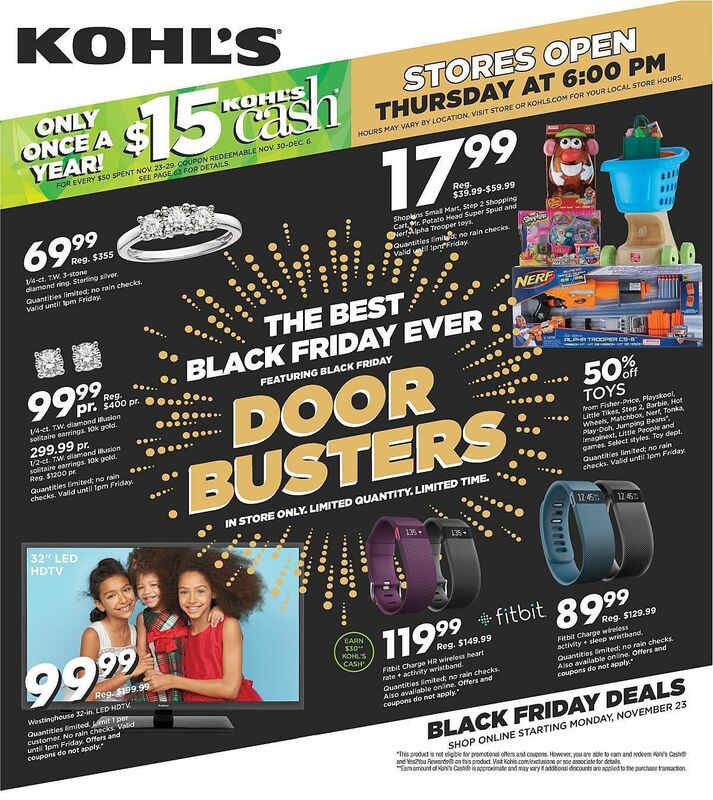 Doors will open Thursday, Thanksgiving at 6 p.m.
From Thursday through Sunday, shoppers will qualify for $15 in Kohl's Cash for every $50 they spend. That's up from the normal $10 offering. Don't expect the biggest electronic names, as you will find at Wal-Mart and Best Buy, but Kohl's will have great markdowns on clothing, small appliances, toys, and stocking stuffer all weekend.